On 17 December 2013 Cecil Williams fainted and fell off 125th Street platform. William’s was trapped on the tracks with an incoming train in earshot. As humans raced to alert the conductor Orlando, William’s long-time seeing-eye-dog, leaped down and covered his master’s body with his own as the train rolled over them. Miraculously, both man and dog were only superficially injured. What’s more, New Yorkers raised enough money to allow Mr. Williams to keep Orlando as pet. Ar 11, he was in line to retire and no longer be covered by Mr. William’s insurance. 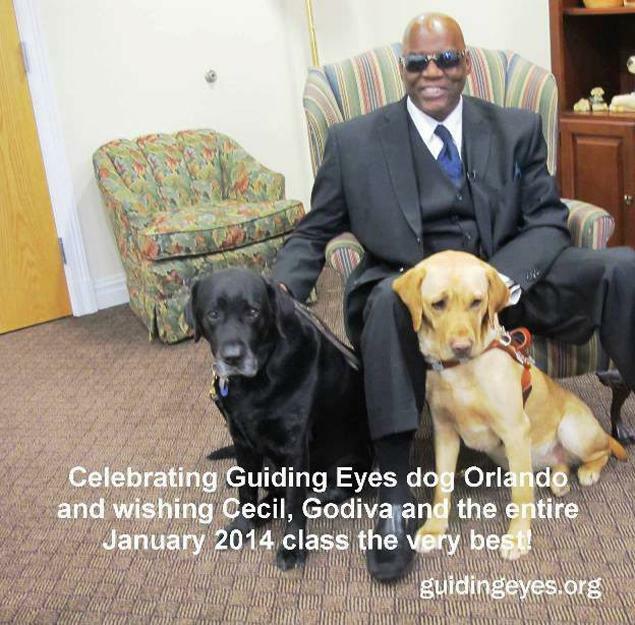 Now Orlando gets to rest easy with Mr. Williams as his new seeing-eye dog Godiva assumes his former responsibilities.